Ghostly goings on in the Quarry? Well actually no. 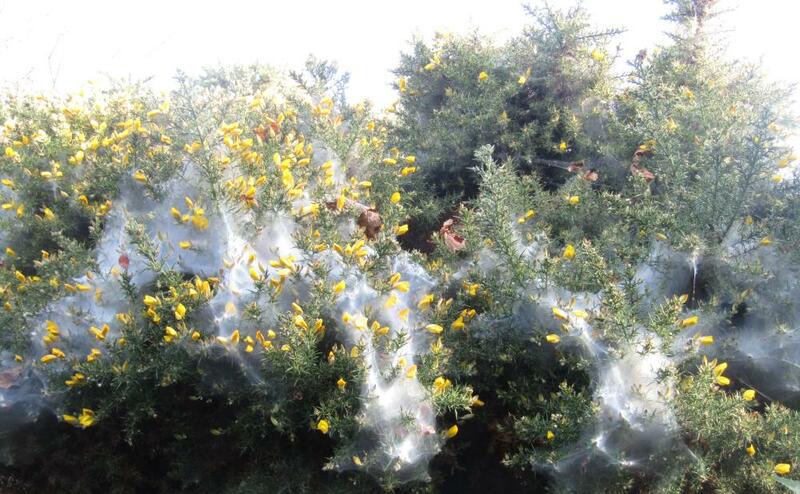 These webs are created by Tetranycus lintearius the Gorse Spider Mite. 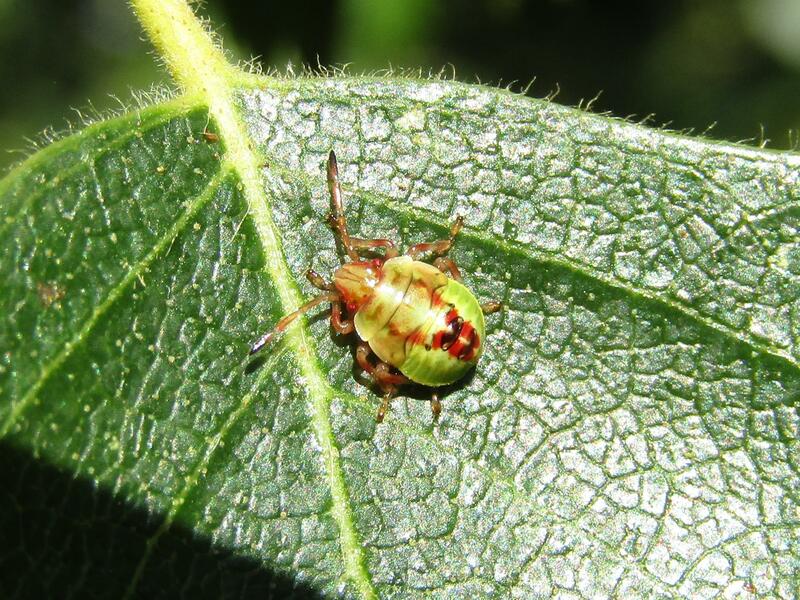 The adults are half a millimetre long and bright red. A native to Europe, it has been introduced to other countries as a biological control measure, although it does not actually kill gorse it can reduce flowering and stunt the development of branches. 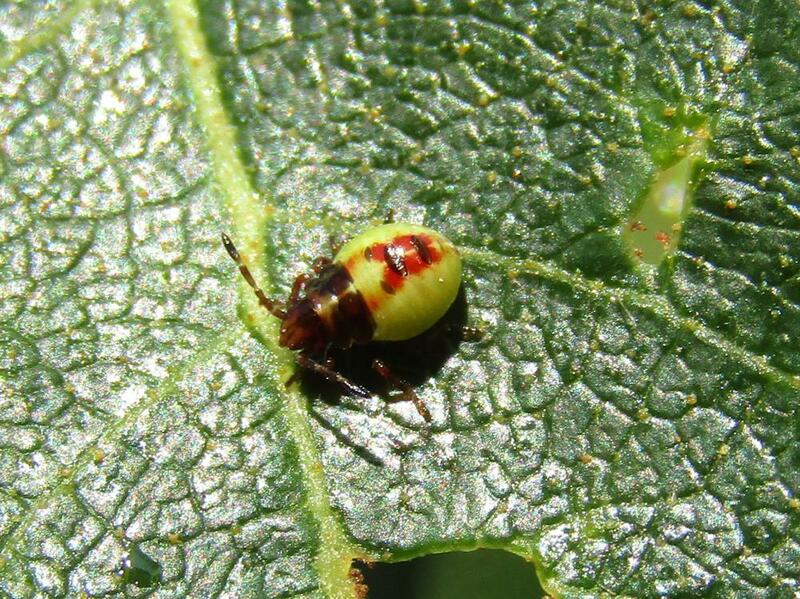 The mites pierce the tissues of the plant whilst feeding. 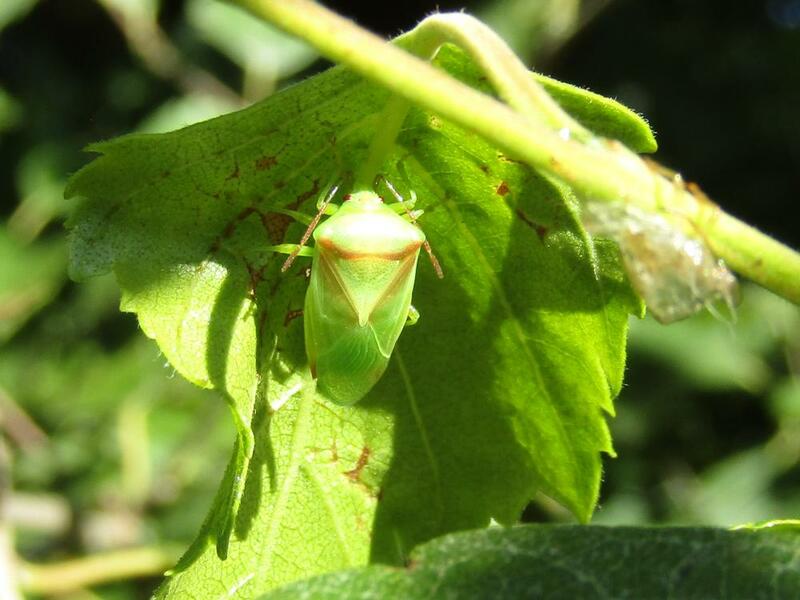 It seems that we have yet another new species record for the Country Park. 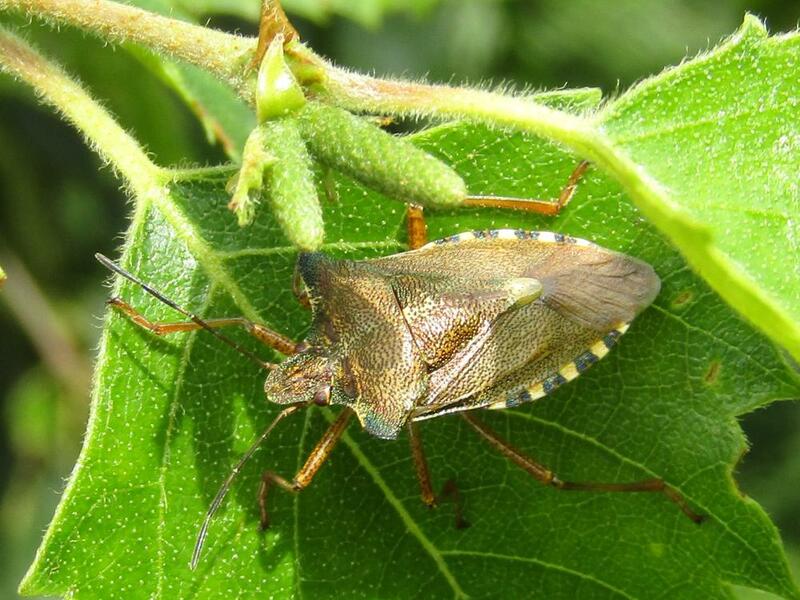 Closterotomus norwegicus aka the Potato Capsid. 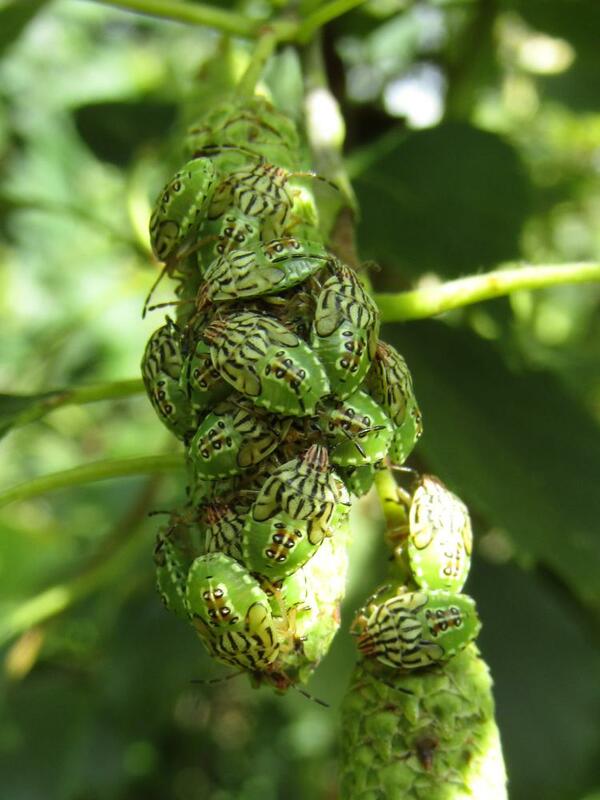 This belongs to a large group of bugs collectively known as Mirid or Plant bugs and although it is called the Potato Capsid, the excellent British Bugs website tells us that it feeds on a wide range of plants, especially nettles, composites and clovers. Found yesterday on the Firehills not far from the radar. I have been keeping an eye on the birches where I first spotted the second instar nymphs and have managed to get a photo of final instar nymphs a week ago and today a number of adults. 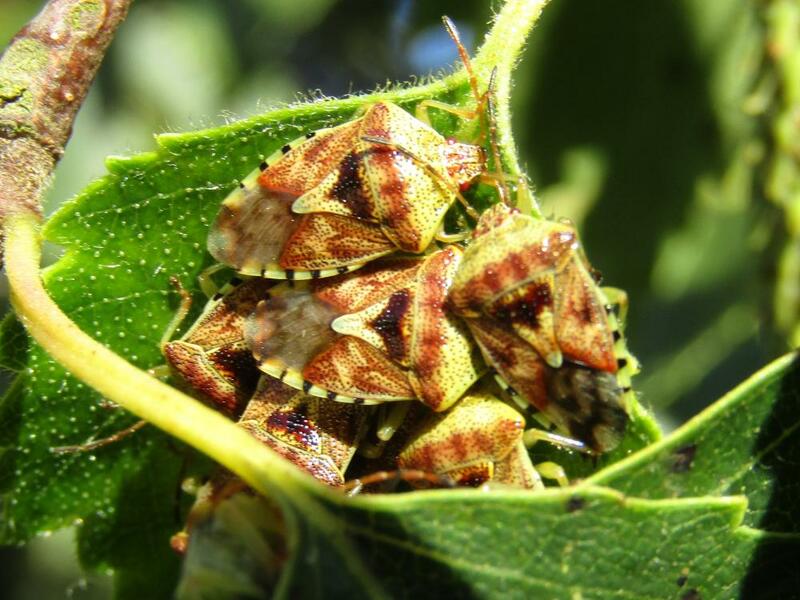 It seems that the adults photo is a little special as a couple of experienced recorders of shieldbugs have not seen adults crowded together thus on a leaf. I have only found one other similar photo on the internet so it would seem that not many people get to see this as the adults split up quickly it would seem and I am rather privileged to be one of those. 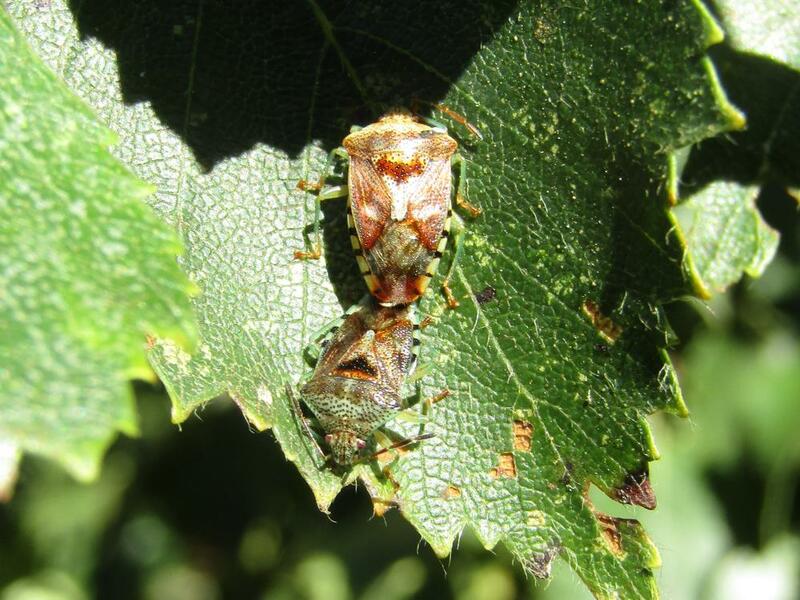 Also seen today 3rd and 4th instar Birch Shieldbug nymphs. 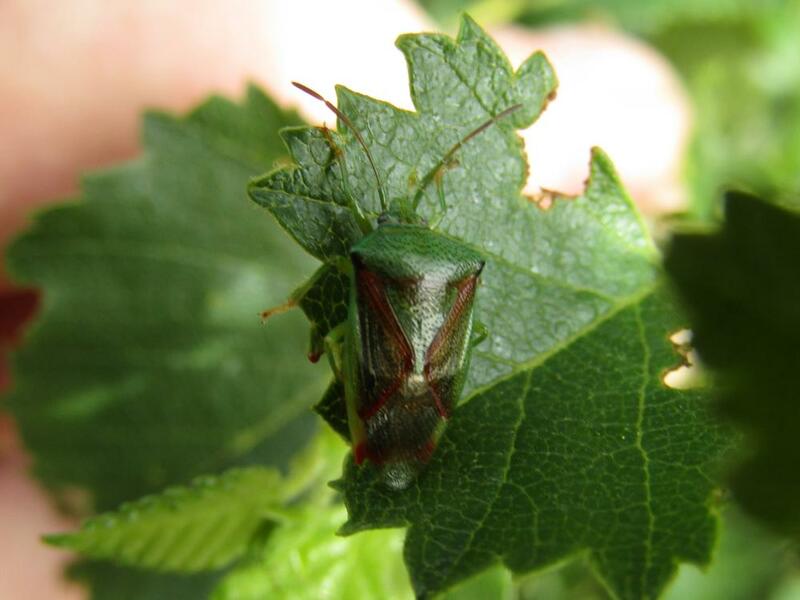 Well, persistence as recommended to me has paid off and I have to thank Taughtus for that and all the help with shieldbug and other id’s! 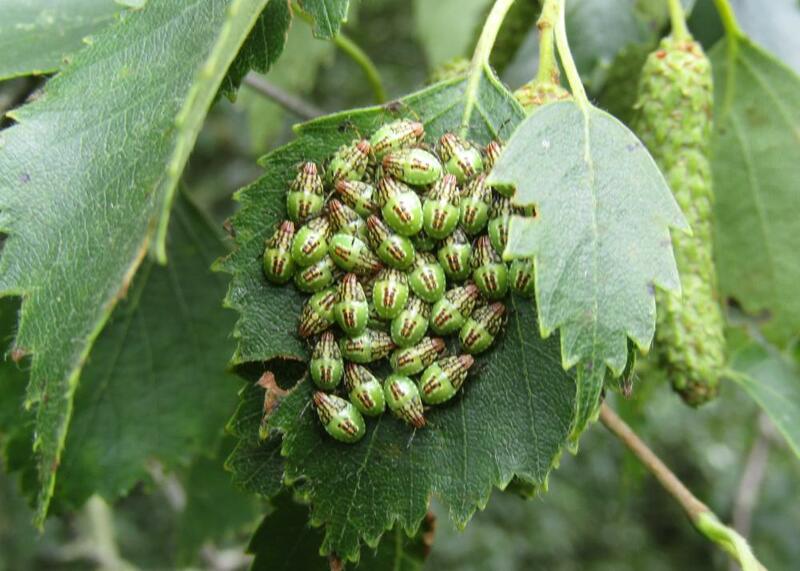 Accessible online records do not show any records for Parent Bug at the Country Park, so I’m presenting this as a new record for the Country Park, 35+, 2nd instar Parent Bug nymphs on a birch leaf on the Firehills. 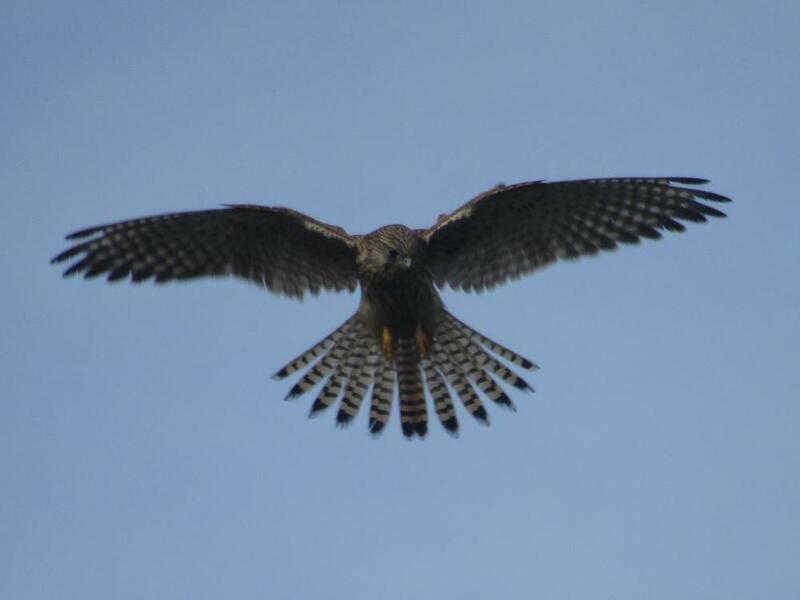 To put this in perspective, this is not considered a rare species, this just highlights the lack of co-ordinated monitoring on the largest nature reserve within the borough of Hastings. The records on this site are provided gratis and with no encouragement from Hastings Borough Council. I hope to return to the area at a later date to record an adult. 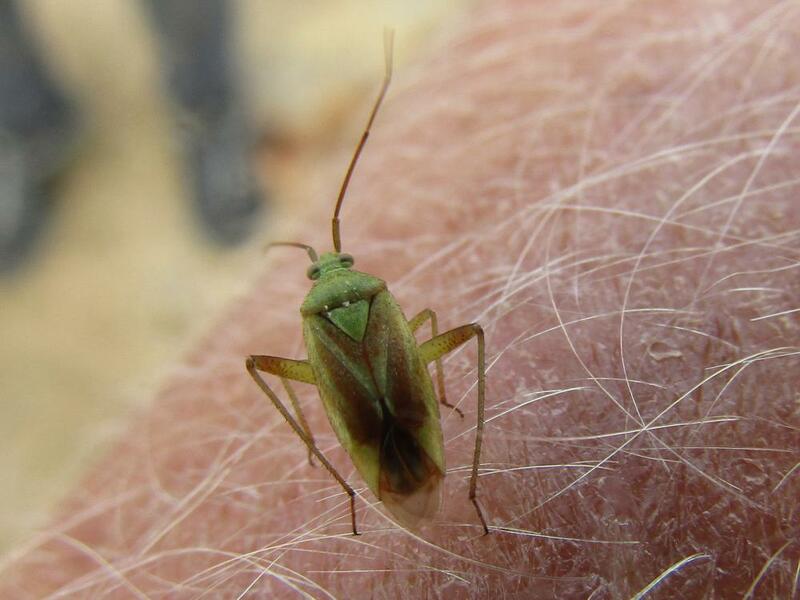 Also found this morning, an adult Forest Bug, which I am told is the first record of an adult for the Country Park. Well last Friday, yes it was, a Grey Dagger in fact. As an adult moth I would have struggled to identify it as it is extremely similar to the Dark Dagger and I would have most likely got it wrong. 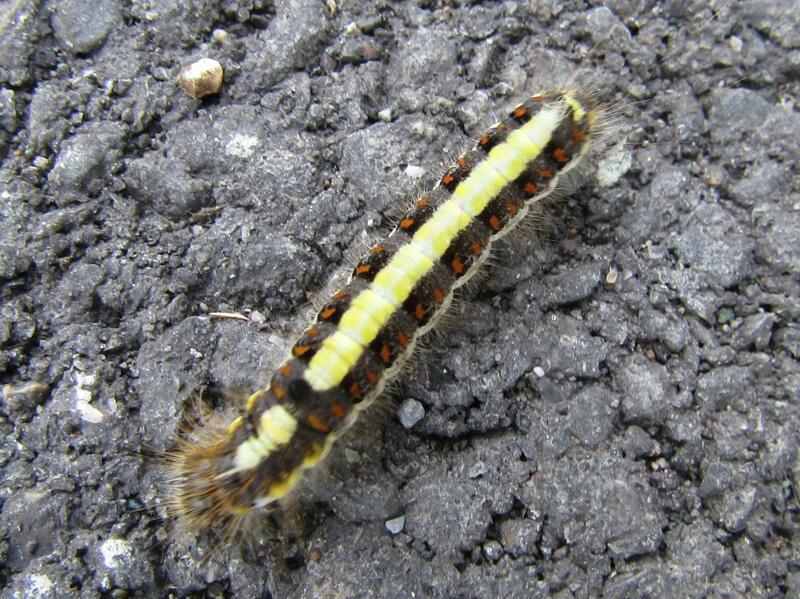 Fortunately the caterpillars are easier and I have to say more interesting with their bright colours. The adult moth’s flight season is in June, so this caterpillar has hatched from this years eggs and will overwinter in it’s pupal state (chrysalis) to emerge as an adult next year. Of all places it was making it’s way down Coastguard Lane! Not sure if this is a first for the Country Park but the NBN Atlas shows well over 15,000 records for this species but none in the Country Park.